Cosmetic Dentist - Pocono Area - Knowledgeable Cosmetic Dentistry in Pocono and Lackawanna County, PA Area. 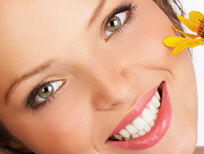 Cosmetic Dentist - Pocono Area: Looking for Skilled Cosmetic Dentistry? Kelly Dental Care is the answer. We'll talk with you and find a solution for your cosmetic dentistry questions! Make an appointment today for Pocono area cosmetic dentistry with Dr. J Kelly Jr. and Dr. J Kelly Sr. by calling our friendly staff at (570) 587-4787 or by filling out our online form. 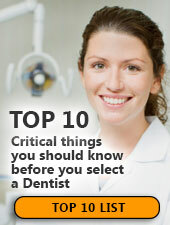 And please be sure to contact Kelly Dental Care if you have any questions. We'll be happy to answer them! Kelly Dental Care offers designated handicap parking spaces for the exclusive use of vehicles displaying handicap hangtags or disabled license plates. Conveniently located in the Pocono, Pennsylvania area, Dr. Joseph Kelly, Jr provides cosmetic dentistry and offers fully accessible facilities. If you're looking for quality cosmetic dentistry in Tunkhannock you don't need to look any further. Joseph Kelly, Jr, D.M.D., is the cosmetic dentist that Tunkhannock residents trust to deliver experienced and professional dental care. The real culprit in carbonated soft drinks, however, is the fizz itself: carbonic acid. A sugary, un-carbonated drink like Kool-Aid is actually easier on teeth than, say, Diet Pepsi. So watch your consumption of soft drinks and be sure to contact Kelly Dental Care at (855) 695-9464 to schedule a dental checkup. Very young children require a fluoride-free variety for safety. Call us at (855) 695-9464 and Dr. Joseph Kelly will be happy to recommend a toothpaste that’s right for your family. 'First visit by first birthday' sums it up. Your child should visit a dentist when the first tooth comes in, usually between six and twelve months of age. Early examination and preventive care will protect your child's smile now and in the future. If you have questions regarding your baby's teeth, please call Kelly Dental Care at (855) 695-9464 and we’ll be glad to provide the answers.